Michael Korn is resident in the Jacksonville office and works primarily in the areas of appellate practice and general civil and commercial litigation. Mr. Korn has extensive experience handling appeals in federal and state courts in all areas of civil law, including commercial and banking law, labor and employment law, marital and family law, construction litigation, health care, personal injury and wrongful death, real estate, land use and condemnation. Mr. Korn is also available for consultation on potential appellate issues and for trial support during the discovery, pretrial and trial phases of litigation. Mr. Korn is “AV” rated by the Martindale-Hubbell Law Directory. Davis v. State, 424 So.2d 875; Bluegrass Shows v. Collins, 614 So.2d 626; Dixon v. Whitfield, 654 So.2d 1230; Ghata v. Ghata, 768 So.2d 1243; Horton v. Channing, 698 So.2d 865; Webb v. Town of Hilliard, 766 So.2d 1241; Carr v. Shawfrank, 894 So.2d 272; McLauchlan v. McLauchlan, 795 So.2d 247; Blann v Blann, 971 So.2d 135; Hightower Geotechnical Services v. HBE Florida Corp., 954 So.2d 57; Williams v. Stanford, 977 So.2d 722; CSX v. Deem, 933 So.2d 673; Ogborn v. Zingale, 988 So.2d 56; News & Observer v. A.Q., 953 So.2d 686; Lovell v. Lovell, 14 So.3d 1111; Nationwide Mutual Fire v. Bruscarino, 982 So.2d 753; Demont v. Demont, 67 So.3d 1096; Bateh v. Bateh, 98 So.3d 750; Middleton v. Middleton, 79 So.3d 836; Flynn v. Estevez, 221 So.3d 1241; Oldcastle Southern Group, Inc. v. Railworks Track Systems, Inc., 235 So. 3d 993. Mr. Korn is a long-time volunteer and leader of the United Way of Northeast Florida. He currently serves as Chair of its Public Policy Committee. 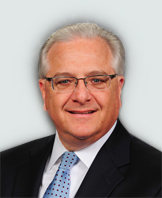 He previously served on the Board of Trustees of the United Way of Northeast Florida, as Chair of the Community Impact Council, as Chair of the Board of Directors, and Chair of the Resource Management Cabinet, where he was responsible for overseeing distribution of the United Way Community Solutions Fund throughout Northeast Florida. As part of his United Way work, Mr. Korn chaired the ongoing United Way initiative known as Life: Act 2, a groundbreaking and award winning collaboration of senior citizens and funders in Northeast Florida. Mr. Korn was involved in this effort from its inception in 2000, and he led the successful effort to obtain multi-year grant funding of approximately One Million Dollars from The Robert Wood Johnson Foundation for local senior programs. Mr. Korn previously served as a member of the Board of Directors of WJCT Foundation, Inc., and he previously chaired the Citizens Advisory Board for WJCT Public Broadcasting. He is past president of the Nonprofit Center of Northeast Florida. He has served for many years as an officer and board member of the Jewish Federation of Jacksonville. Mr. Korn currently serves as the Chair-elect of OneJax, an institute of the University of North Florida, an interfaith organization which works to bring understanding among all peoples.